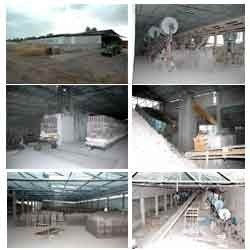 We have a well developed manufacturing unit sprawled across a wide land area of around 2.25 acres. The state of the art infrastructure comprises of sophisticated machinery that includes Press, D.C, Muller, Crushers, Kennel, and Palvalizers. We have a high production capacity of around 1200 tonnes.